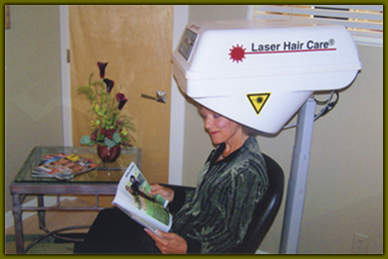 After years of success in Europe, Laser Hair TherapyTM is now available here in the United States. 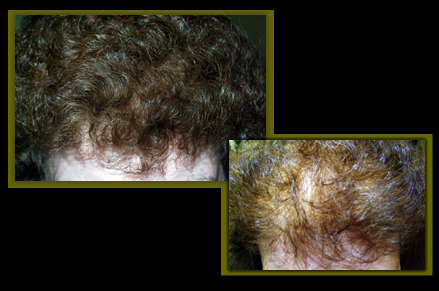 It is an innovative treatment to stop hair loss and even grow your own hair. Combined with FDA approved activators, Laser Hair TherapyTM can add thickness and volume to your hair. Laser treatment utilizes a device that administers soft, low level light energy to the scalp that stimulates new hair growth. How does Laser Hair TherapyTM Work? If you are experiencing thinning hair, Laser Hair TherapyTM may be the answer for you. Please call to schedule your private, confidential, no-obligation consultation. During your consultation you will receive a free microscopic hair and scalp analysis. We are here to help you, give us a call today!